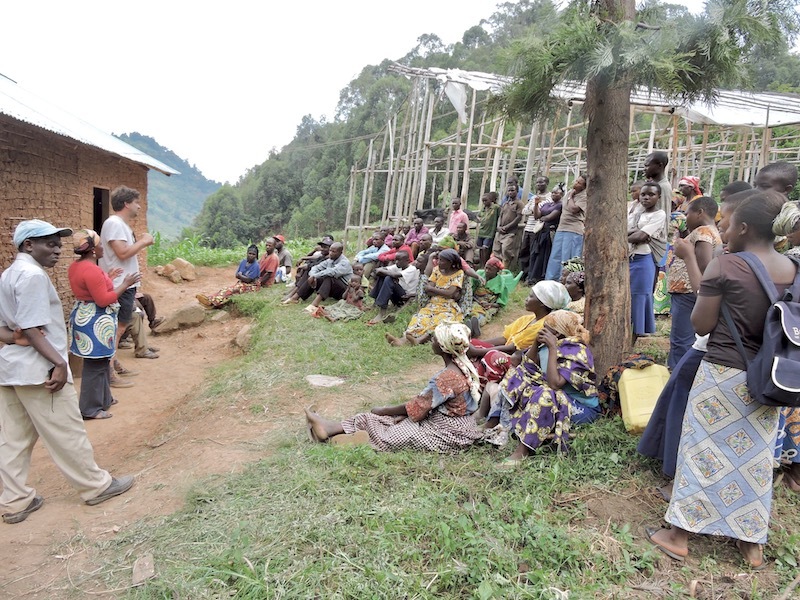 In the dense Congolese mountains of the Virunga National Park, HUTWE is a community washing station for coffee beans. To us in West Flanders, it simply sounds like ‘Good Stuff’. Our friends at Good Beer Hunting invited us to pour at a special coffee beer event last month called Uppers & Downers. 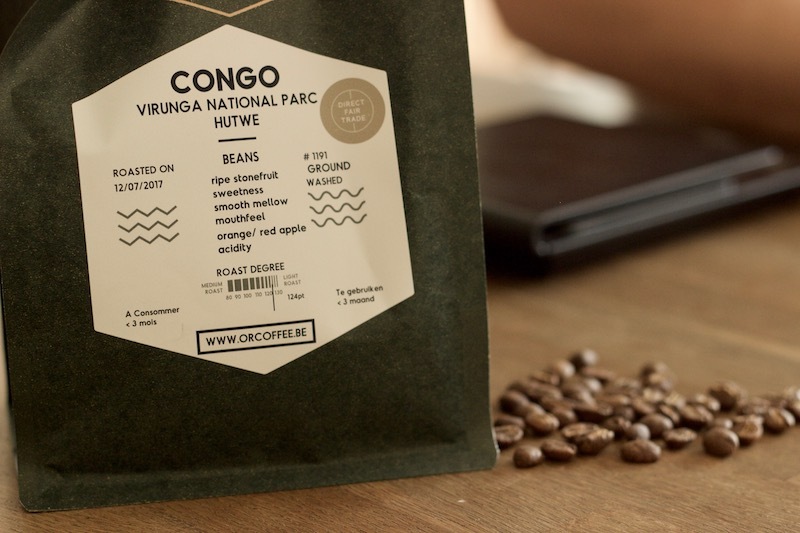 We teamed up with Or Coffee, a Belgian microroastery specializing in third wave coffee who travel around the world collecting great coffee and process it in their small roasting facility in Westrem, East Flanders. 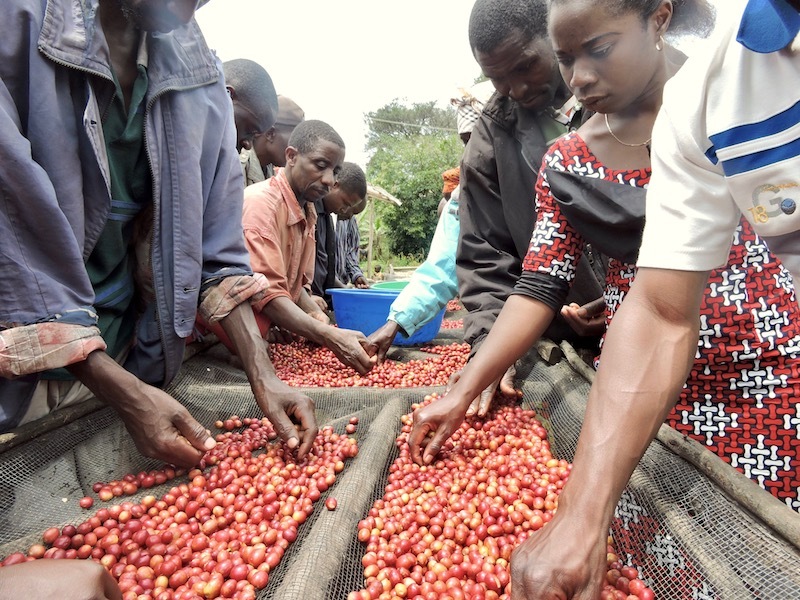 Together we produced a Saison using the Hutwe coffee variety which Or Coffee source directly from a small Congolese community washing station in the Virunga National Park. 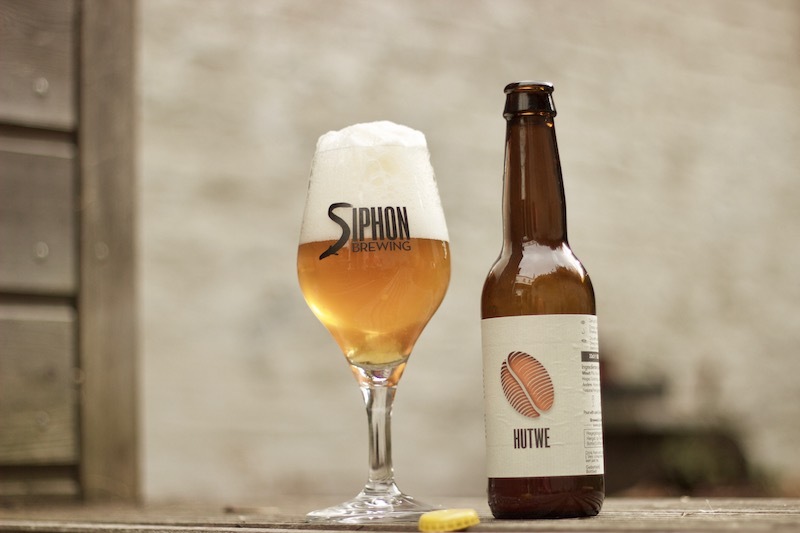 The bright citrus-zest fruitiness of both the coffee and the beer compliment each other, with the Saison’s dryness accentuating the coffee variety’s subtle stone-fruit acidity. 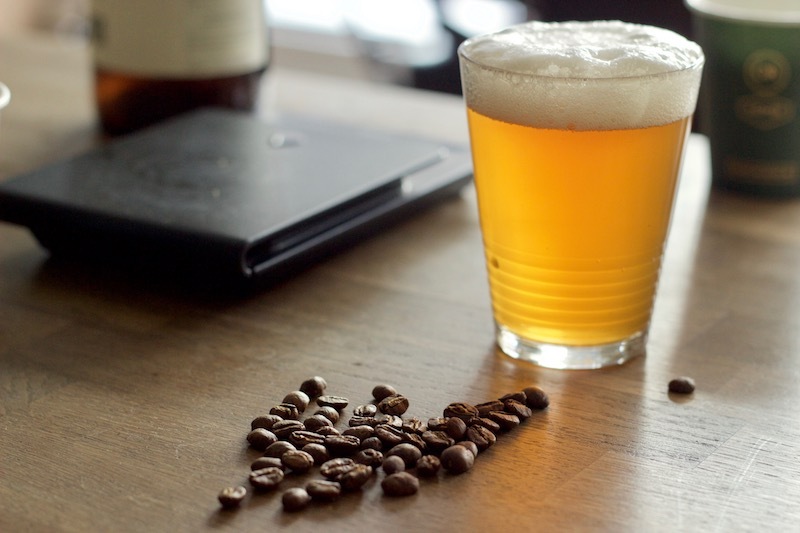 To achieve as full an expression of the coffee in the beer as possible, we used it in three different ways: as a raw coffee bean, added in primary fermentation (for ‘green’ flavours); as a roasted bean, added in the boil during brewing (for acridity and bitterness); and as cold brew coffee, in a proportion of 15% of the total liquid, blended in just before bottling (for that stonefruit acidity). 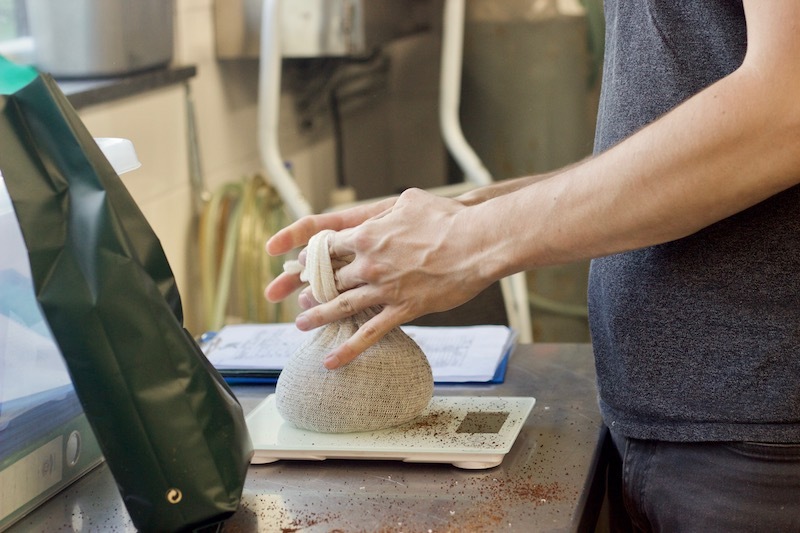 The worlds of beer and coffee – whether its processing beans and grain, discussing fermentation and flavour, or the passion in its production – are more similar than we could ever imagine.